Clearwater Police officer Craig Murray wore a body camera during a training session last month. With growing discussion about police body cameras across the country and in Massachusetts, Senate President Stanley C. Rosenberg said Wednesday he wants the Legislature to come up with money to help local law enforcement try out the devices, with an eye toward learning more about whether a statewide effort would make sense. He noted that there were already police body camera pilot programs underway in some Massachusetts communities and said that he supports the creation of a state grant program to help others try out devices that can record interactions between police and citizens. Asked whether he hopes most police officers in Massachusetts will eventually wear body cameras, Rosenberg said he hadn’t considered it to that point and looks forward to a legislative committee studying the issue. The senator, who was elected to the chamber’s top leadership position at the beginning of the year, said he is backing a “modest” grant program, a nod to tight state budget times. Issues related to criminal justice have been priorities for the Amherst Democrat. But it’s unclear whether the two other power players on Beacon Hill, Governor Charlie Baker and House Speaker Robert A. DeLeo, support the idea of appropriating funds for the expansion of police body camera use in the state. Lizzy Guyton, a Baker spokeswoman, said in a statement that “the governor is committed to learning more about the use of body cameras on a small-scale demonstration basis.” Asked for the speaker’s position on the Rosenberg proposal, a DeLeo spokesman, Seth Gitell, had no comment. 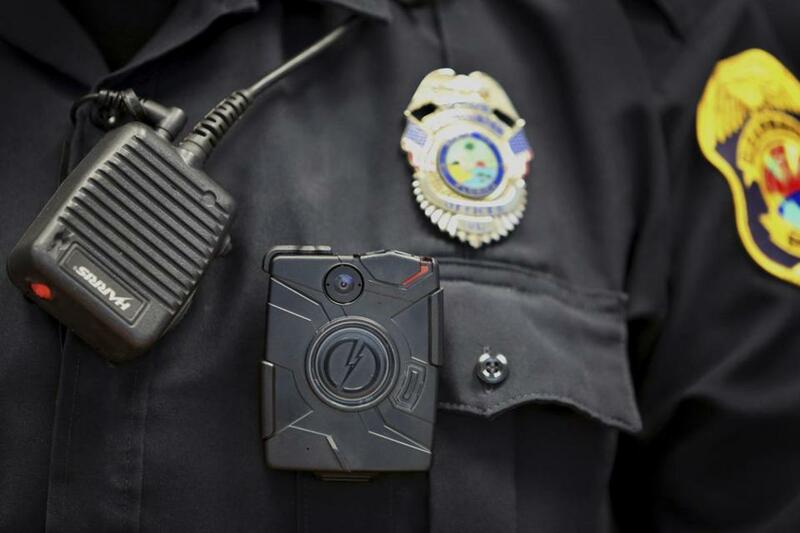 Felix Browne, a spokesman for the Executive Office of Public Safety and Security, said in an e-mail that there is not currently a state-funded grant program for communities to equip their police departments with body cameras. With police-involved shootings driving a national discussion about the relationship between law enforcement and the people they serve, there has also been more talk about the record cameras on police can provide of their interactions. On Wednesday, Mayor Joseph A. Curtatone of Somerville said in an appearance on Boston Herald Radio he backs putting the cameras on police officers in his city and would like it done soon. A spokeswoman for Mayor Martin J. Walsh of Boston, Bonnie McGilpin, told the Globe Wednesday that Walsh and Police Commissioner William B. Evans are open to looking at whether body cameras for police officers would be a good investment. Last week, members of the City Council expressed differing opinions on a proposal for all uniformed and plainclothes officers in the field to wear body cameras. Any police body camera plan will inevitably involve discussions of citizen privacy, whether the cost is worth the benefits of the devices, and the logistics of equipping police with them. Rosenberg said he expected hearings on police body cameras this year and said the more data from local communities that everyone had on the pluses and minuses of the devices, the better. Meghan E. Irons and Jan Ransom of the Globe staff contributed to this report. Joshua Miller can be reached at joshua.miller@globe.com. Follow him on Twitter @jm_bos.